Located in Nam Phut Sub-district. From Satun, take Highway 406 and then 416 to La-ngu District and then turn right by following the Namtok Wang Sai Thong signs. Guide, boat, safety gear, elephant, food, restroom and parking. Khlong Lam Lon is Satun province’s main canal, originating from the Banthat Mountain Range which connects 3 provinces – Patthalung, Trang and Satun. 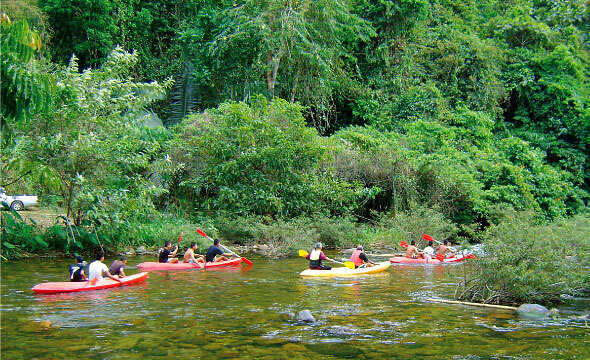 The stream is flowing down from the watershed forest to the Andaman Sea at Pak Bara – creating many small rapids including Namtok Wang Sai Thong, the only limestone waterfall in the South. 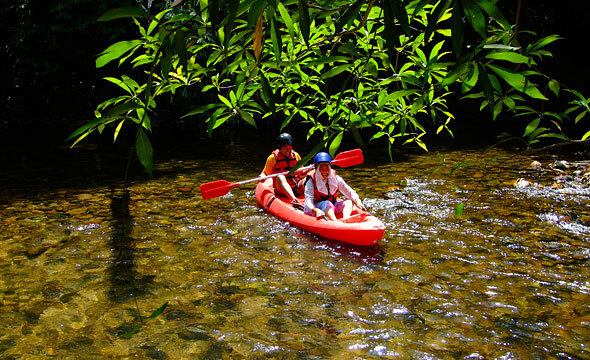 With a total distance of 8 km with big trees along both sides creating the shade shielding paddlers from the sun, making it impressively pleasant for white-water rafting. 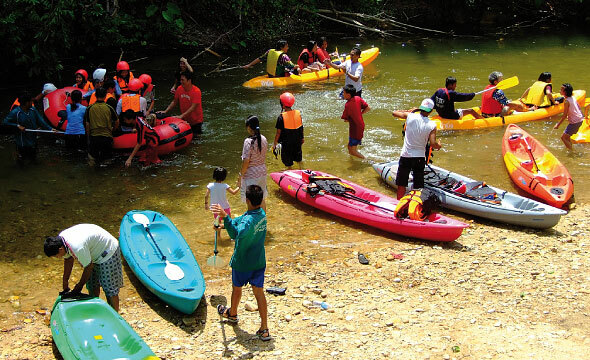 It is more exciting to do rafting through 16 rapids in total by a kayak rather than an inflatable boat, as the overall difficulty of rapids is at the Level 1-2. 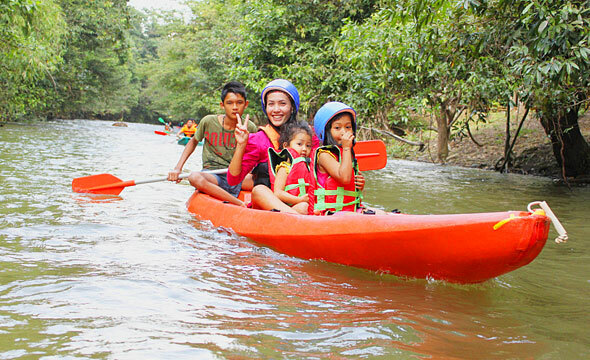 You will enjoy the ultimate peaceful nature along the way – the crystal clear water, numerous wild orchids, and lifestyles of the local people by the canal as well as the Sagai Tribe. In addition, there will be staff along the rafting course to make sure you’ll be safe. It usually takes around 2 hours to finish the course. "Chet Khot Cave, Wang Sai Thong Waterfall and Phu Pha Phet cave are nearby and worth visiting." All rights reserved. No part of this website may be reproduced or transmitted in any form or by any means, electronic or mechanical, including photocopy, recording or any other information storage and retrieval system without prior permission in writing from the Tourism Authority of Thailand.